Home Classic Mercedes	Rare 1968 Mercedes-Benz Heckfloss 200D Universal Estate Wagon Appears on eBay! 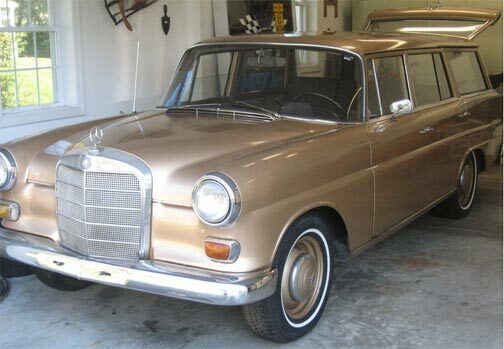 Rare 1968 Mercedes-Benz Heckfloss 200D Universal Estate Wagon Appears on eBay! Looking for a Mercedes-Benz wagon? Looking for something that nobody else has? This is an extremely rare 1968 200D fintail (Heckfloss) Estate wagon. 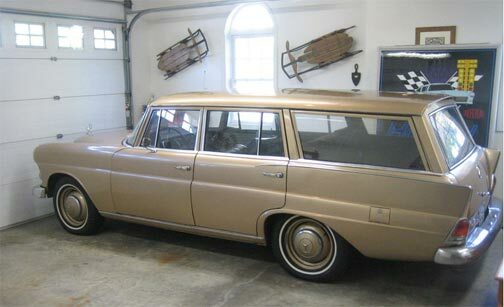 A very limited number of 200 series Mercedes Benz sedans were converted into “Estate” form (wagon in Europe) by the Belgian firm, “Universal” in the mid to late 1960s, this is one of those cars that was brought over to the United States. There is really no way to tell how many of these even exist in the United States. Bidding just ended on this car on eBay today, it was bid up to $25,000, but the reserve was not met. According to the seller it is in original, unrestored condition with a patina that makes it look the part. The exterior color is a light gold repaint (so much for ‘all original’), the interior is brown and trimmed with stainless steel and mahogany wood accents. 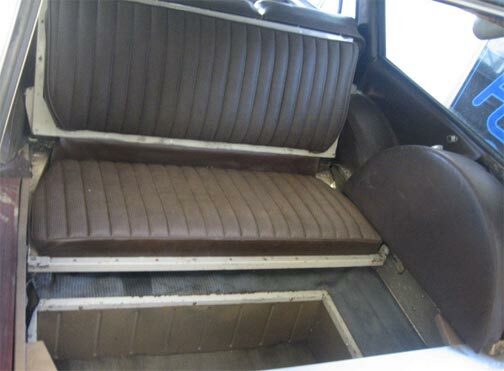 Even the Universal wagon conversions got the rear facing seats in the 'way back'. While a 200D is never going to break any land speed records, this would be an awfully fun car to cruise around in during the Summer, and if you decided to take it to a German car show you can be sure you wouldn’t see another one! Have a look at more photos and a complete description from the seller by visiting the (now ended ) eBay auction, just click this link. Dave Knows Cars Goes To Las Vegas for the 11th Digital Dealer Conference, Cool Cars Also Spotted!